The paintings on this page are based on digital renderings of Persian tilework patterns in which the compositional segments are isolated as separately coloured shapes. Each element in the digital sketch is encoded with either CMYK coordinates or RGB triplets, the qualities of which are reproduced as acrylic colour mixtures before being applied to the support. 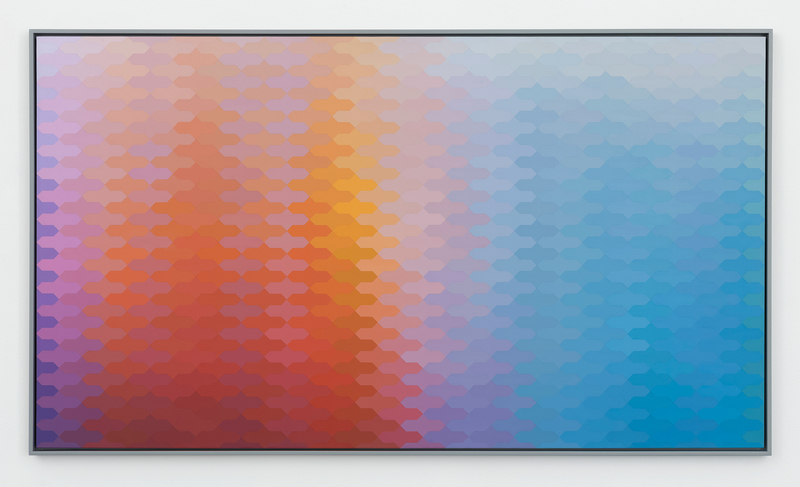 The gradual colour variations are enhanced to mimic the saturation of the digital colour swatches as they appear on screen.